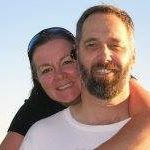 Peter A. Caddell is online at https://www.facebook.com/peter.caddell. Stuart Ames Caddell is online at http://www.facebook.com/stuart.caddell.9. William John Caddell was born on May 31, 1918 in Lowell, Massachusetts, son of William J. and Selma (Beckman) Caddell. Mr. Caddell was raised and educated in Lowell. He graduated from Wentworth Institute with a degree in Engineering. Mr. Caddell worked for many years for the steel fabricator, Ryan Iron Works, Inc. For many years, William was the Chief Engineer for the Rayham based company. At the age of 65, he stepped down as Chief Engineer, but continued working full time as an Engineer until his retirement at 85. Mr. Caddell was a hard working man who devoted his entire working career to the steel company. Ammi Cady was born about 1771. Norfolk (Conn.). Church of Christ, Baptisms, marriages, burials and list of members taken from church records of the Reverend Ammi Ruhamah Robbins, first minister of Norfolk, Connecticut, 1761-1813, Printed for C. and E. B. Stoeckel, (1910) , p. 16. She was the daughter of Ammi Cady and Lucretia Royce. Norfolk (Conn.). Church of Christ, Baptisms, marriages, burials and list of members taken from church records of the Reverend Ammi Ruhamah Robbins, first minister of Norfolk, Connecticut, 1761-1813, Printed for C. and E. B. Stoeckel, (1910) , p. 57. "United States, GenealogyBank Obituaries, 1980-2014," database with images, FamilySearch (https://familysearch.org/ark:/61903/1:1:QKWV-PMYP : 22 July 2016), Mrs Barbara Claire Cahoon Carlson, Chatham, Massachusetts, United States, 04 Dec 2003; from "Recent Newspaper Obituaries (1977 - Today)," database, GenealogyBank.com (http://www.genealogybank.com : 2014); citing Cape Cod Chronicle, The, born-digital text. 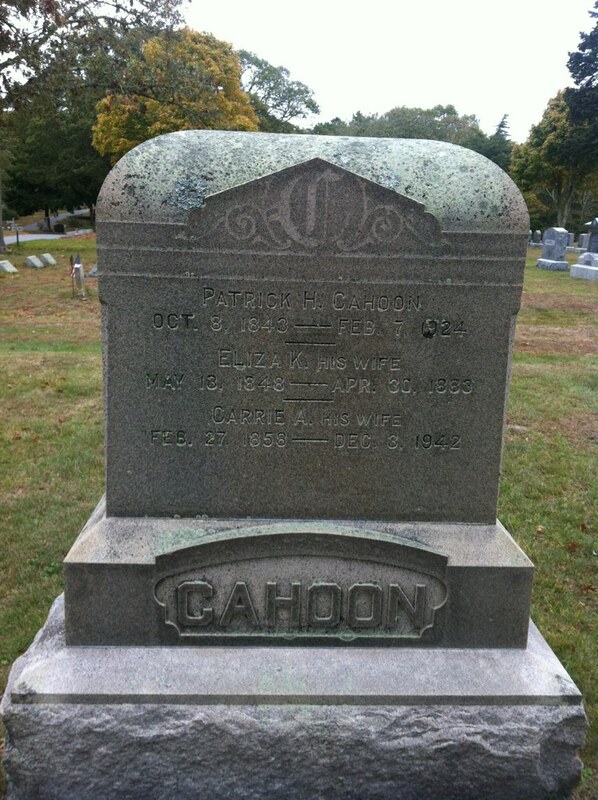 "Massachusetts Births, 1841-1915," database with images, FamilySearch (https://familysearch.org/ark:/61903/1:1:FX64-16J : accessed 25 August 2015), Eliza E. Cahoon, 16 Jan 1888; citing Harwich, Massachusetts, reference p 11, Massachusetts Archives, Boston; FHL microfilm 1,428,240. "United States World War I Draft Registration Cards, 1917-1918," database with images, FamilySearch (https://familysearch.org/ark:/61903/1:1:KZFF-19W : accessed 25 August 2015), Harry Selwyn Cahoon, 1917-1918; citing New London County no 9, Connecticut, United States, NARA microfilm publication M1509 (Washington D.C.: National Archives and Records Administration, n.d.); FHL microfilm 1,561,999. "Massachusetts Births, 1841-1915," database with images, FamilySearch (https://familysearch.org/ark:/61903/1:1:FXH8-GFX : accessed 25 August 2015), Patrick H. Cahoon, 08 Sep 1843; citing Harwich, Barnstable, Massachusetts, reference , Massachusetts Archives, Boston; FHL microfilm 1,420,528. "Massachusetts Marriages, 1841-1915," database with images, FamilySearch (https://familysearch.org/ark:/61903/1:1:N4S1-92R : accessed 25 August 2015), Patrick H. Cahoon and Eliza K. Paine, 15 Sep 1871; citing item 2 v 235 p 13, Harwich, Massachusetts, State Archives, Boston; FHL microfilm 1,433,029. Biographical sketches of representative citizens of the commonwealth of Massachusetts, , at https://books.google.com/books?id=pvIMAQAAMAAJ . Boston: Graves & Steinbarger, (1901) , p. 639. Simeon L. Deyo, History of Barnstable County, Massachusetts, , at https://books.google.com/books?id=9iBEAQAAMAAJ . New York: H. W. Blake & Co., (1890) , p. 897. Massachusetts Vital Records, 1841-1910, , Vol: 358 ; Page: 10. Massachusetts Vital Records, 1841-1910, , Vol: 385 ; Page: 11. Richard R. Callender was born in 1962/63.